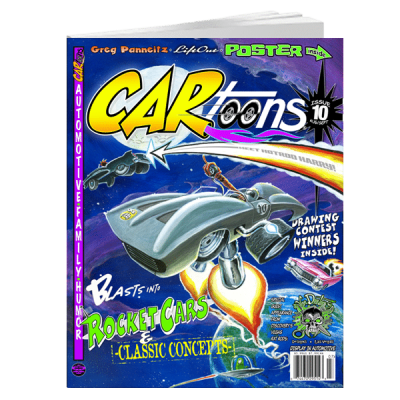 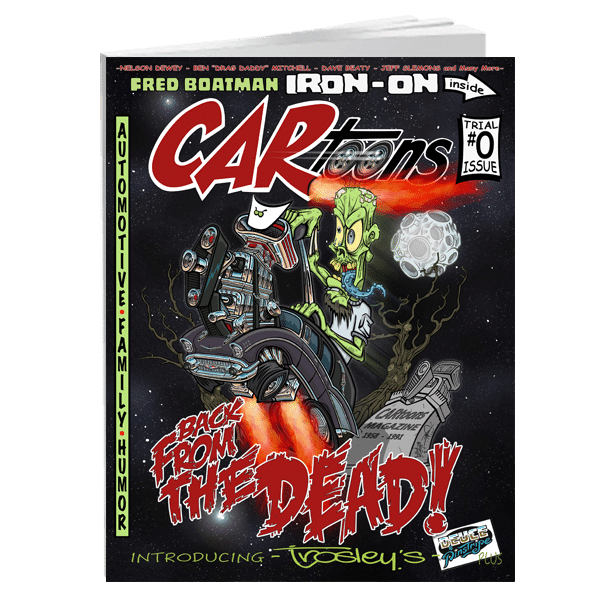 It’s been 22 years since the last issue of CARtoons Magazine was put out on newsstands, and now we’re bringing our beloved magazine back! 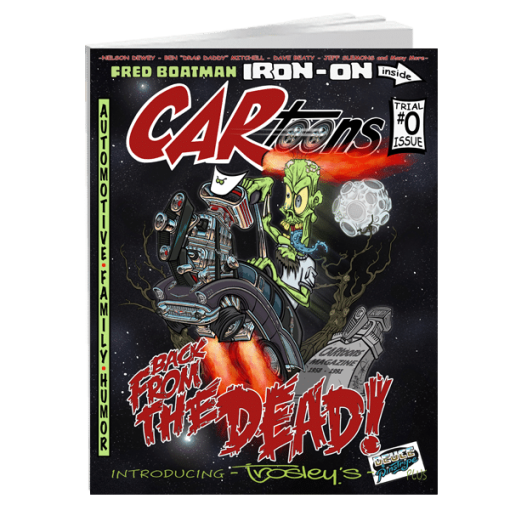 Order your copy of the this extremely limited #0 Trial “Comeback” Issue of the newly revived CARtoons Magazine now! 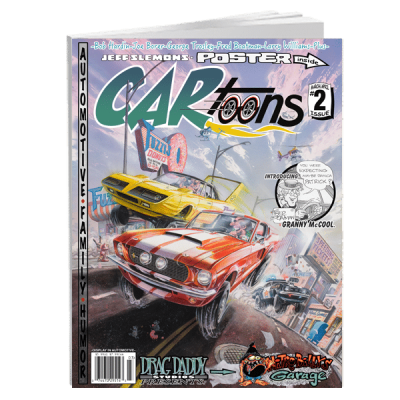 Limited to only 2500 copies! 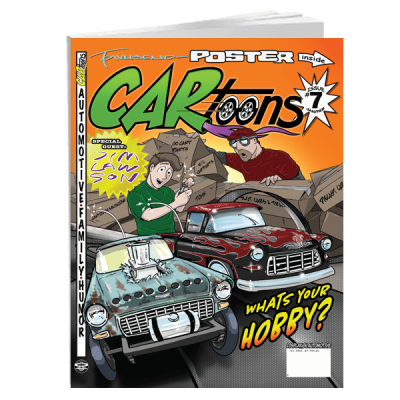 Once there gone, they are gone, so order now to ensure you get your hands on it! 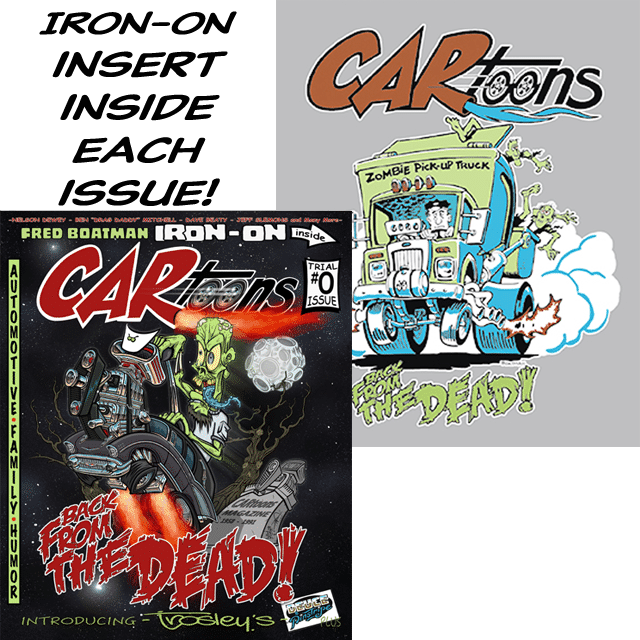 This version includes the exclusive Iron-on insert! 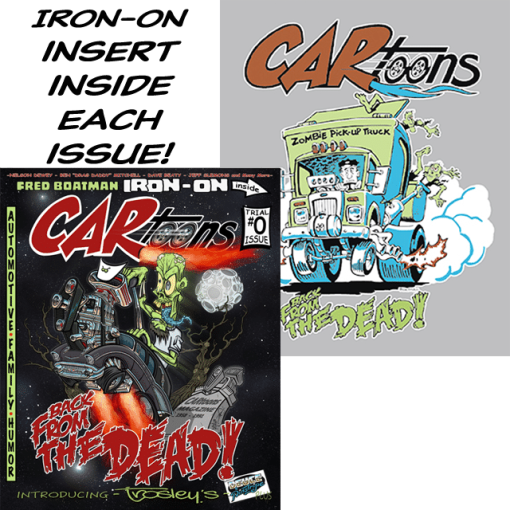 (Artwork by Fred Boatman) A high quality Iron-on that allows you to apply to dark clothing including Black!